I have my new v4 1100 factory since last Christmas but still haven't ride the first 1000 km (cold, snow, wind, rain...wonderful winter!). For me this has been a little bit crazy cause I am a long routes lover, and while my friends buy big trails, GTs, and that kind of bikes I decided to go to the dark side with this Beast dressed like an Italian young girl. For that reason I am going to prepare it for tourism: I will change the beautiful tail of the factory for the double seat of the RR, a new wind screen (the Aprilia original), bagster tank bag, and some details more that I will show you later. Would I reach my dream of a ready for Travel Tuono?. Will see. Prepare an italian young girl for tourism?!?? Your winter does not look like an English one I think you meant; prepared for touring. Of course I wait for ride in a sunny day but with very low temperatures and ice in some corners. Hi Guru. 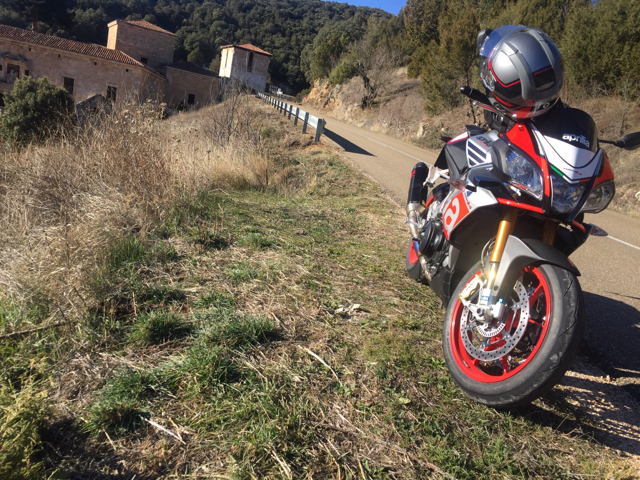 Have a RSV1000R and, like you would like to gear it for touring - high windscreen, leg protection, panniers. Am at a loss as to sourcing suitable, tasteful components. How it would look when completed is important. Any ideas ? Hi Dandee, we are going to modify probably one of the best design exercises in motorbikes, the work will be delicate. For sure. 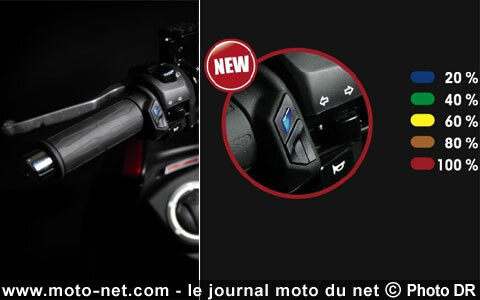 Besides this I have installed my old indicator for the pressure and temperature in both tires and what more can I need?. What have you think for leg protection?.